Amid war and the fading dream of the Confederacy, a wounded soldier and a destitute widow discover the true meaning of Christmas—and sacrificial love. Recently widowed, Aletta Prescott struggles to hold life together for herself and her six-year-old son. With the bank threatening to evict them, she discovers an advertisement for the Women’s Relief Society auction and applies for a position—only to discover it’s been filled. Then a chance meeting with a wounded soldier offers another opportunity—and friendship. But can Aletta trust this man? Captain Jake Winston, a revered Confederate sharpshooter, suffered a head wound at the Battle of Chickamauga. When doctors deliver their diagnosis, Jake fears losing not only his greatest skill but his very identity. As he heals, Jake is ordered to assist with a local Women’s Relief Society auction. He respectfully objects. Kowtowing to a bunch of “crinolines” isn’t his idea of soldiering. But orders are orders, and he soon discovers this group of ladies—one, in particular—is far more than he bargained for. 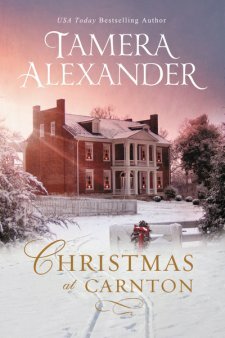 Set against the backdrop and history of the Carnton Plantation in Franklin, Tennessee, Christmas at Carnton is a story of hope renewed and faith restored at Christmas. Christmas at Carnton is a great novella Christmas story. There is so much I enjoyed about this book. 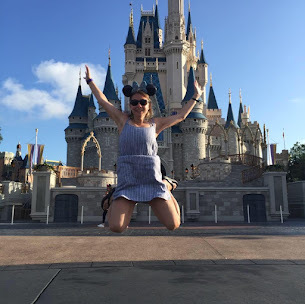 Aletta is a young widow who was partway through the civil war facing a job loss, foreclosure of her house and all the pregnancy of her second child. Will Aletta find employment at the plantation and will she be able to provide for her son? Captain Jake had an injury and is no longer able to shoot. He is devastated and now learns he must be sent to the Carnton Plantain for his new assignment. What he didn't expect was the young widow and her son to capture his attention, but his thoughts are stirred of home and family for the first time in a long time. You will really enjoy this book and it will have you waiting for real life story that Tamera is writing next year. I can't wait to see how she pens the story from here. I give this book 5/5 stars. Thank you to the publisher for providing a complimentary copy. A favorable review was not required.